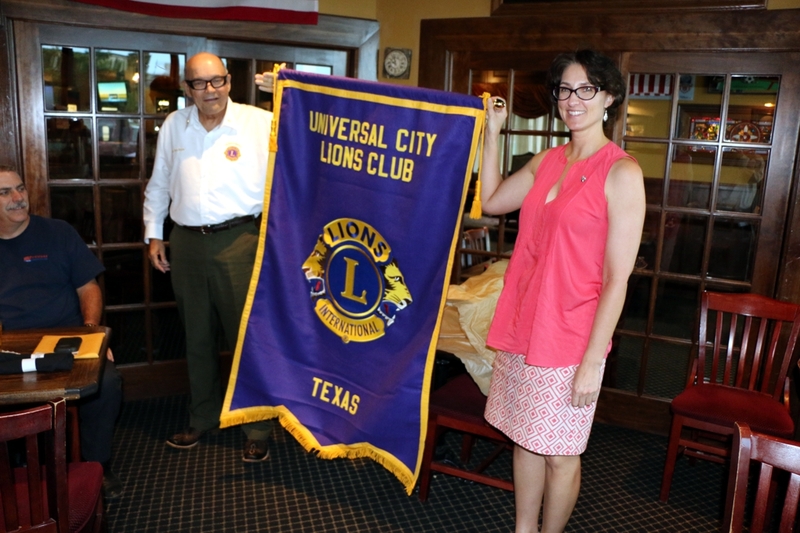 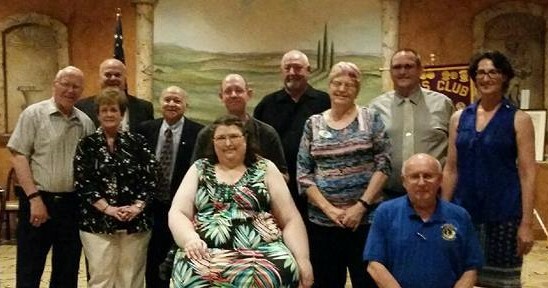 Former and Current Windcrest Lions' Presidents Don Doyle and Nanette Patton present the Universal City Lion's Club banner! 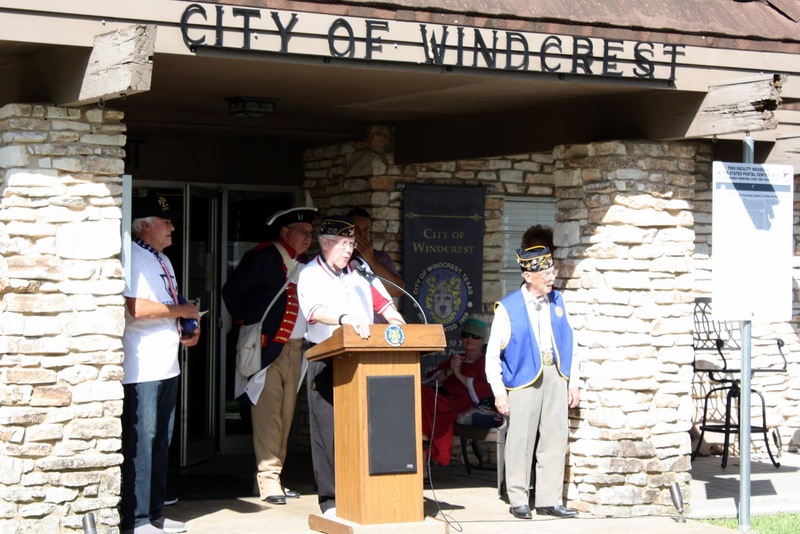 Lion, and former Windcrest Mayor, Jack Leonhardt speaks before the parade! 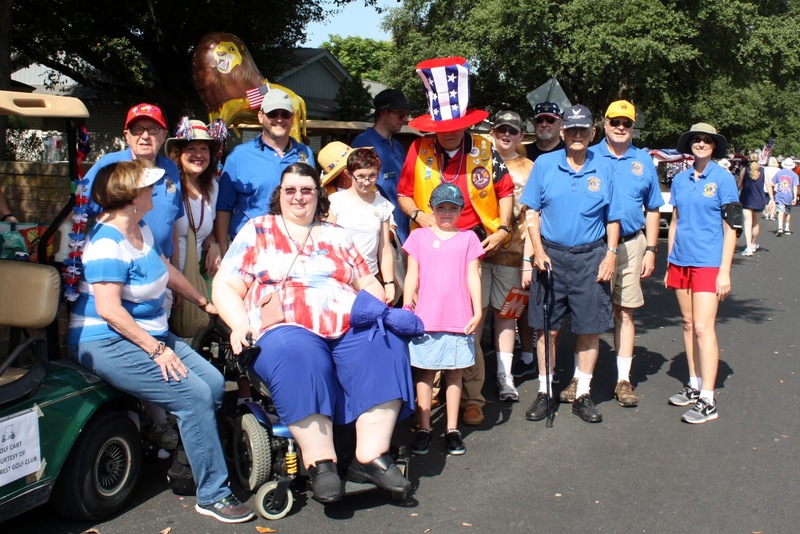 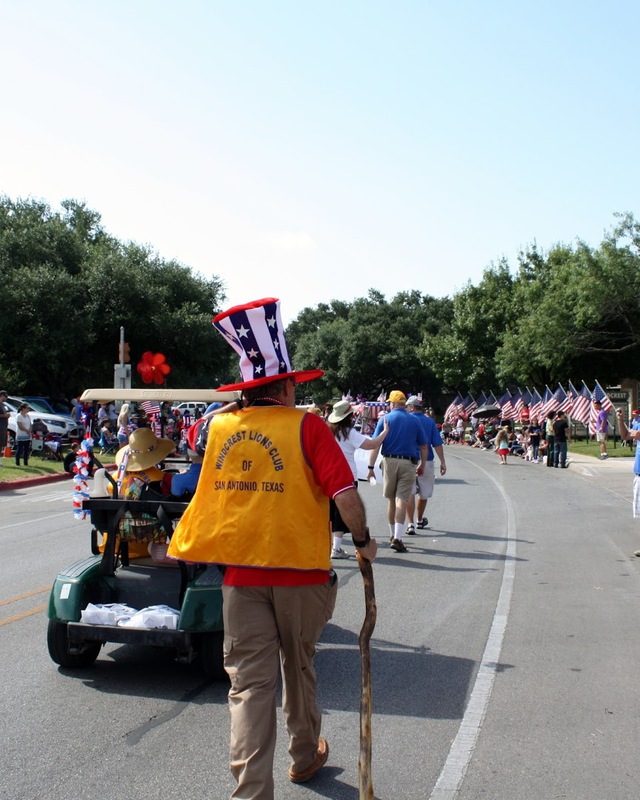 Our group represented the club well in the 4th of July Parade, we even had some future Leos in our group! 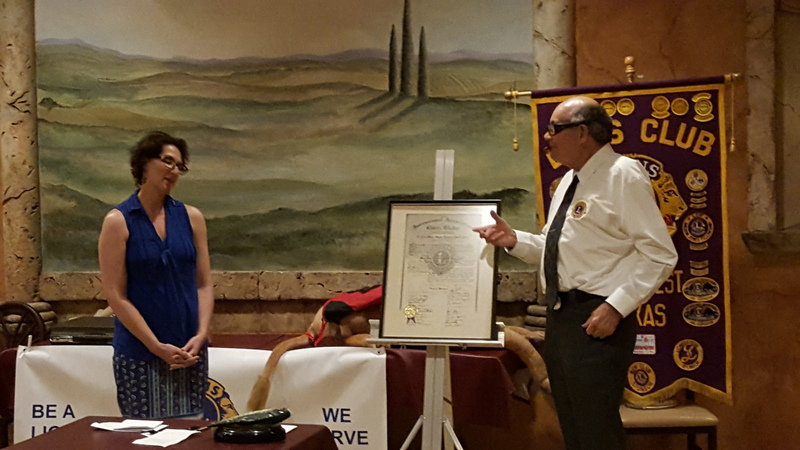 Former President Don Doyle passes the charter to New President Nanette Patton! 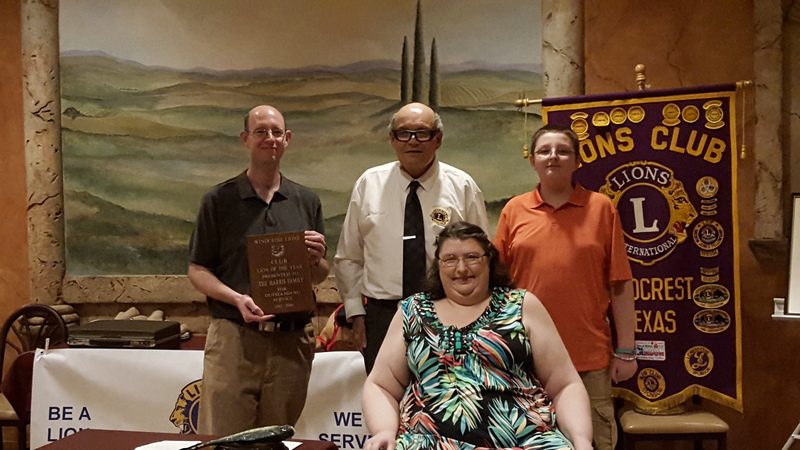 Lions Francesa, David, and Charles receive the Lions of the Year award!